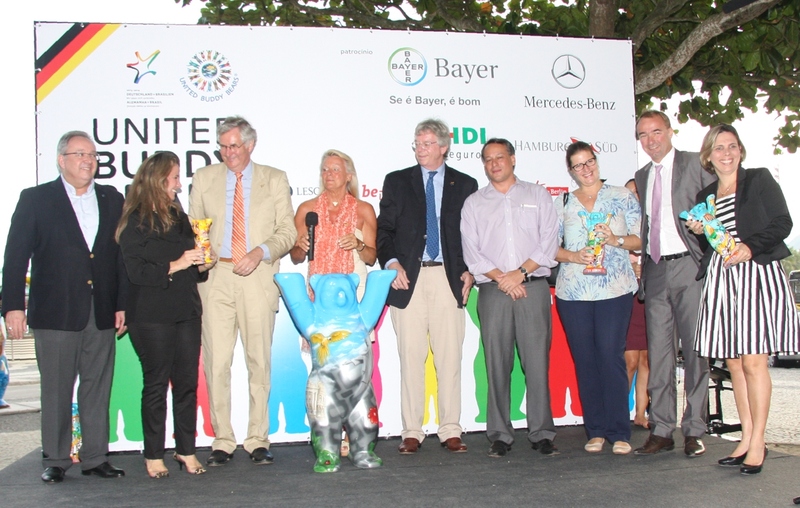 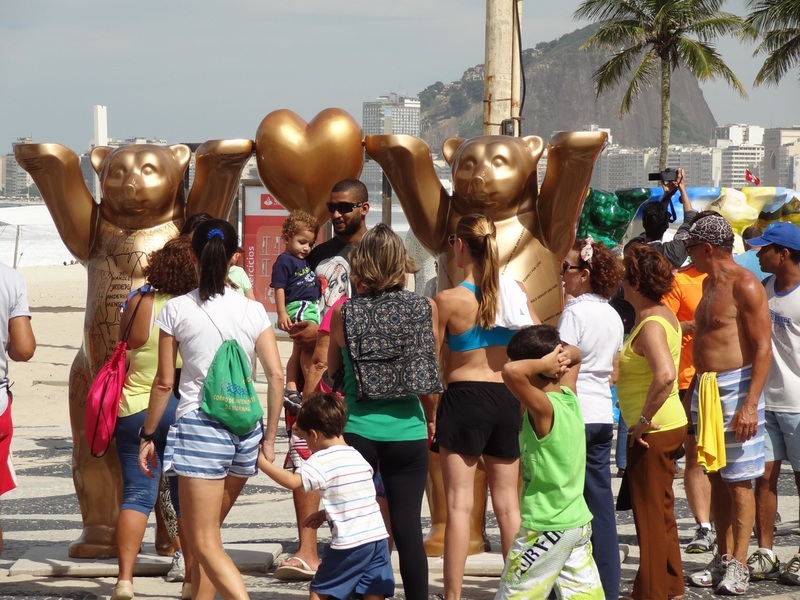 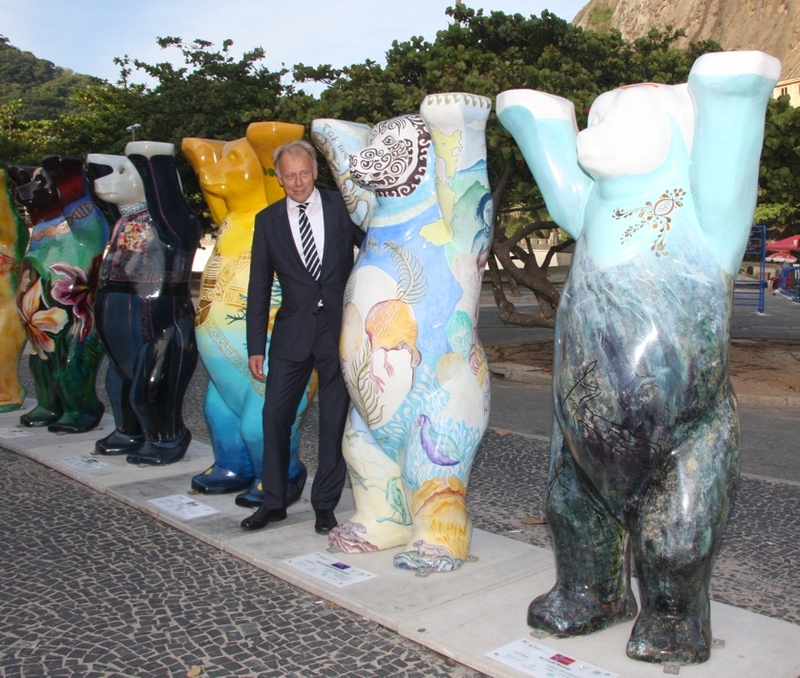 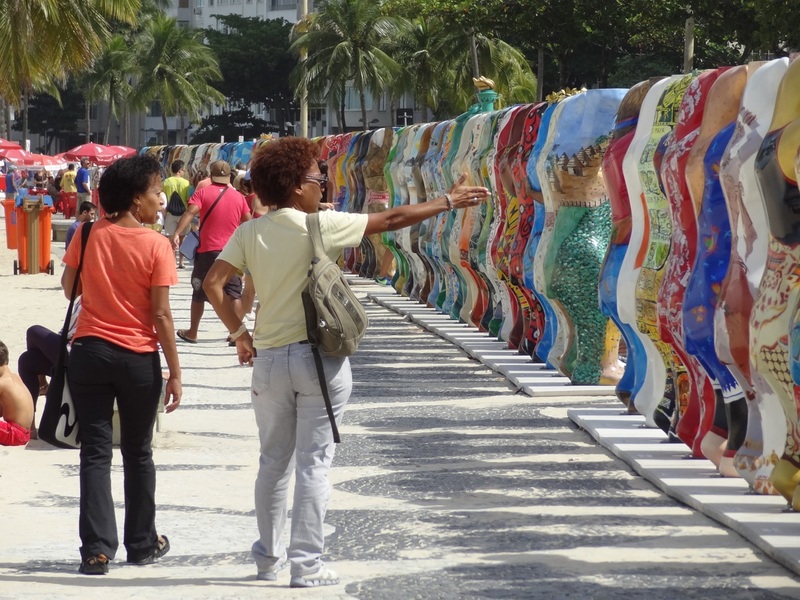 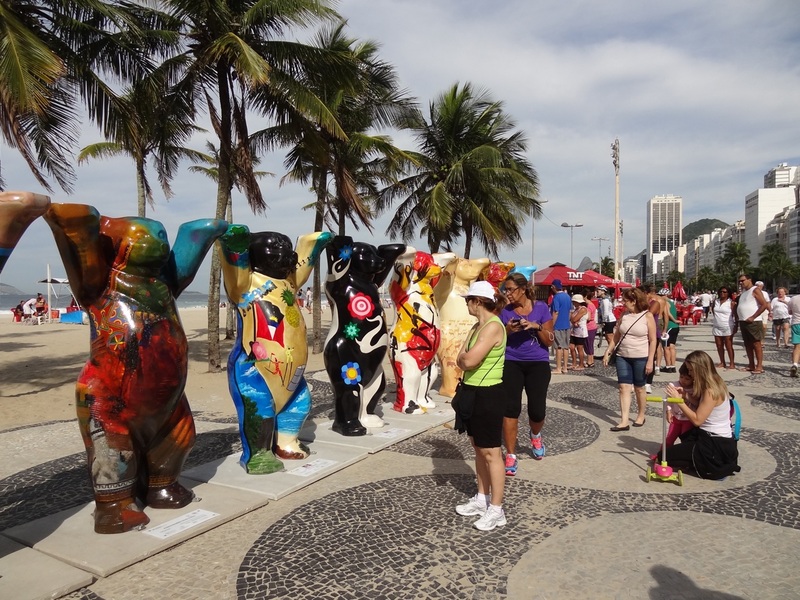 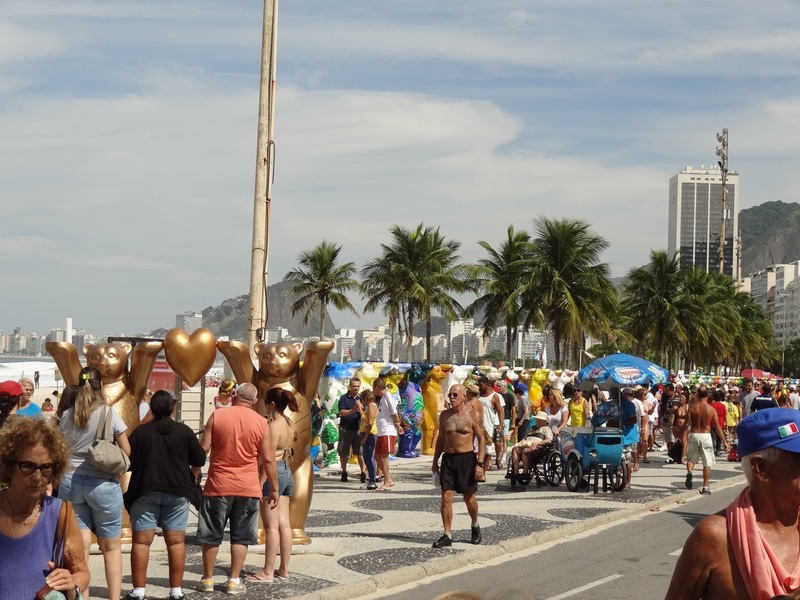 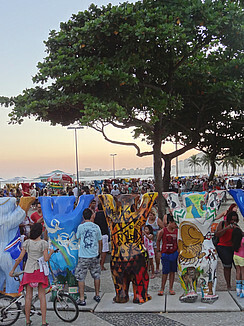 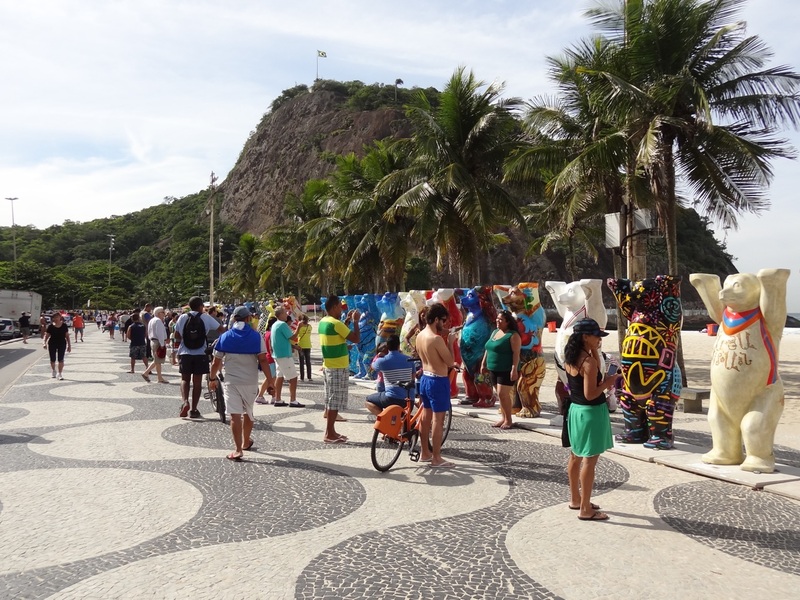 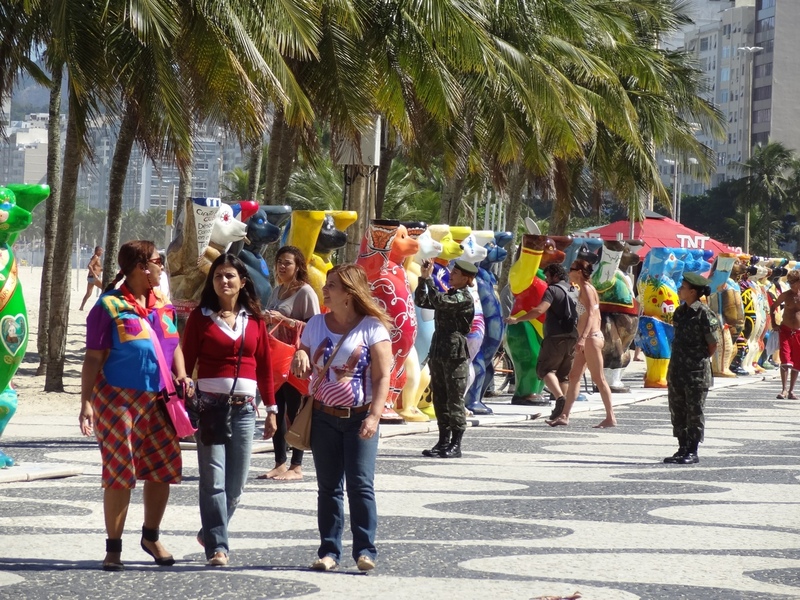 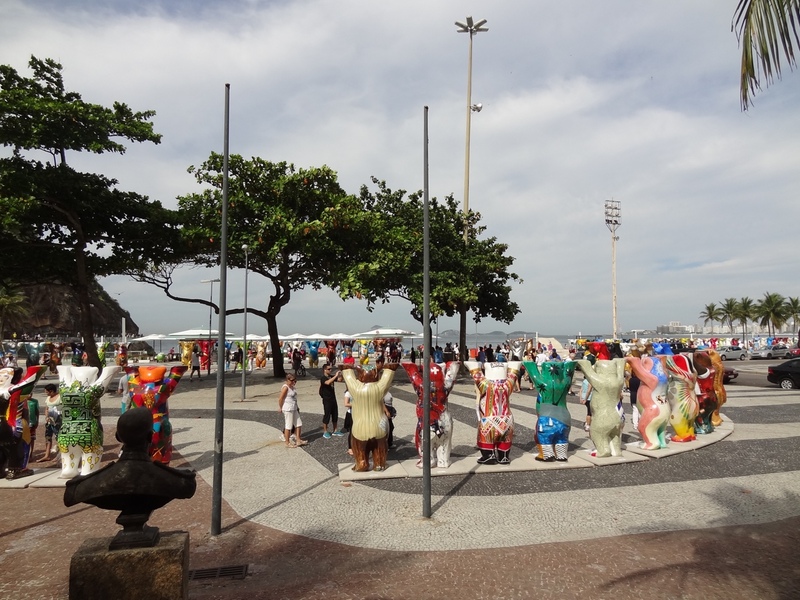 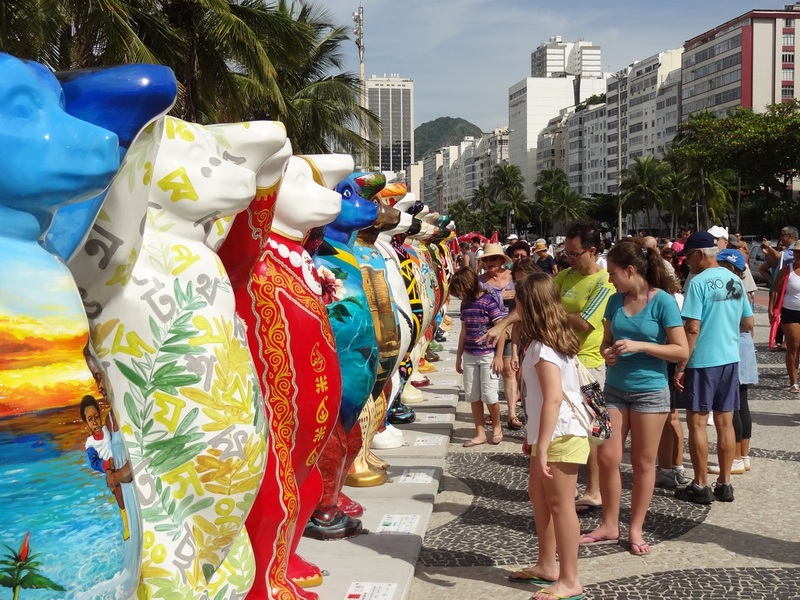 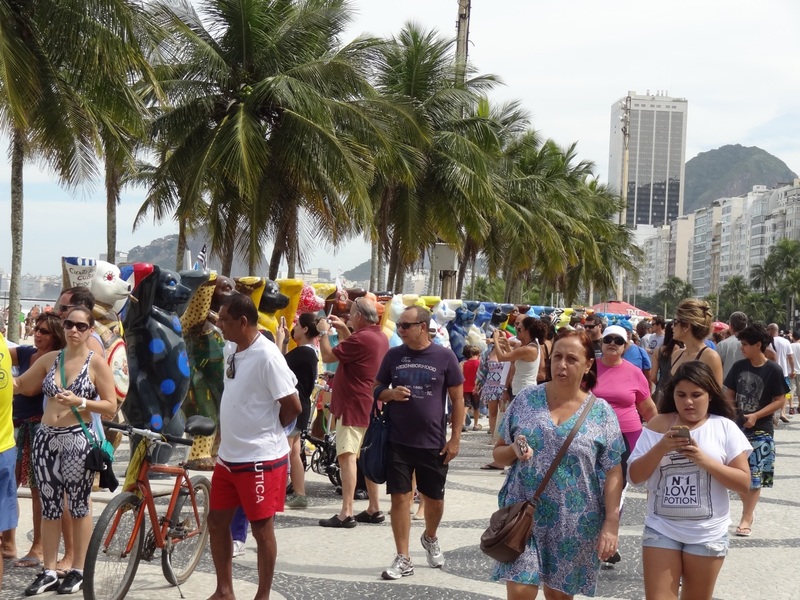 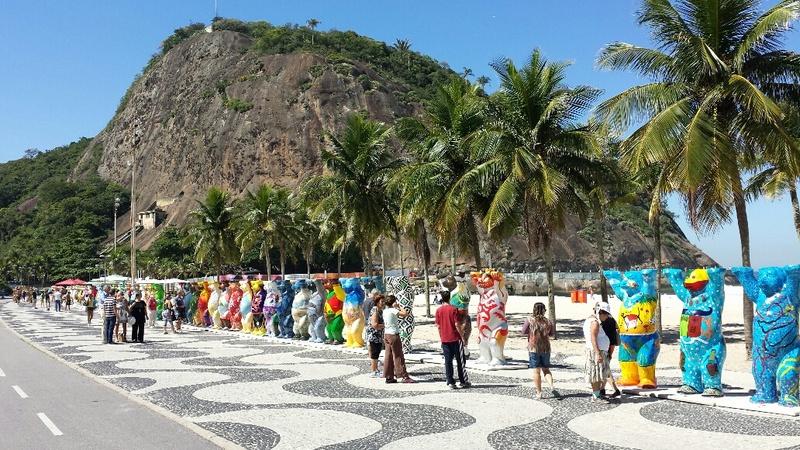 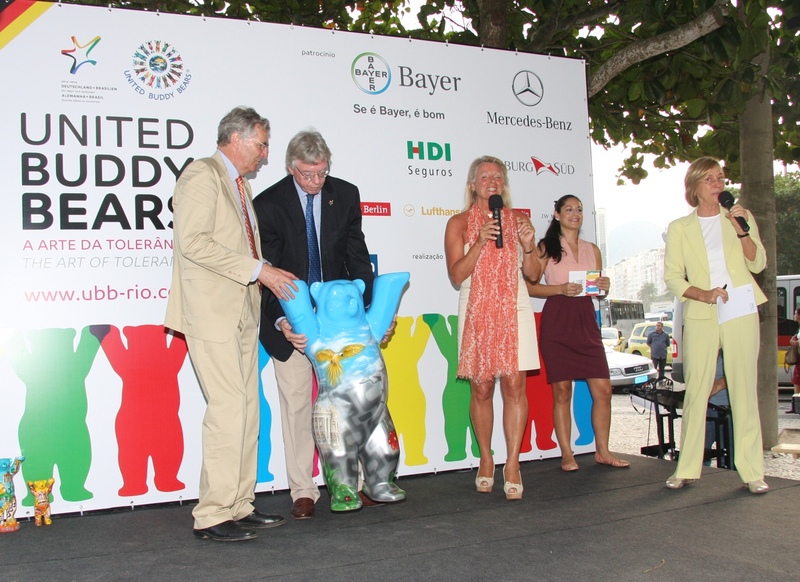 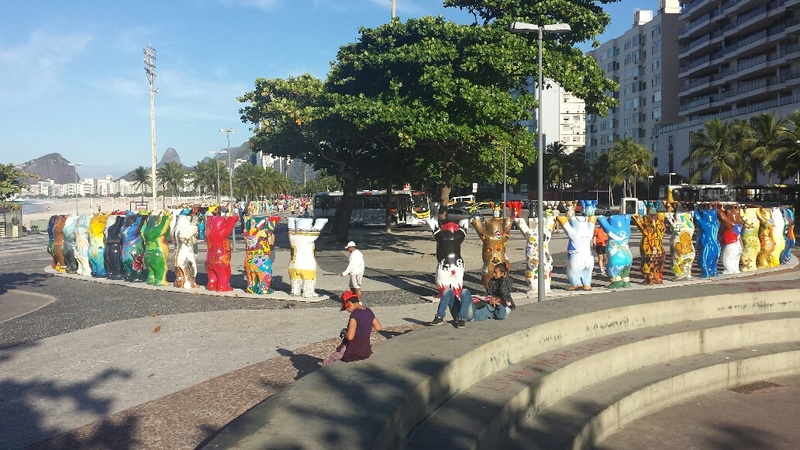 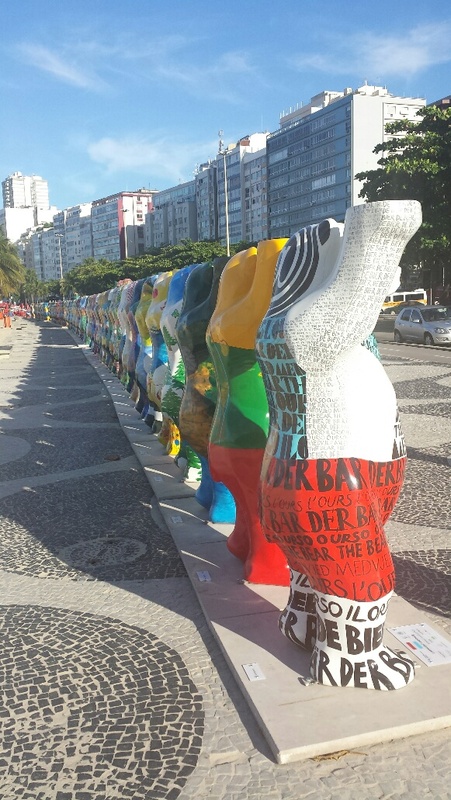 In the context of the “Germany Year in Brazil”, 145 United Buddy Bears were on display at Copacabana beach in Rio de Janeiro. 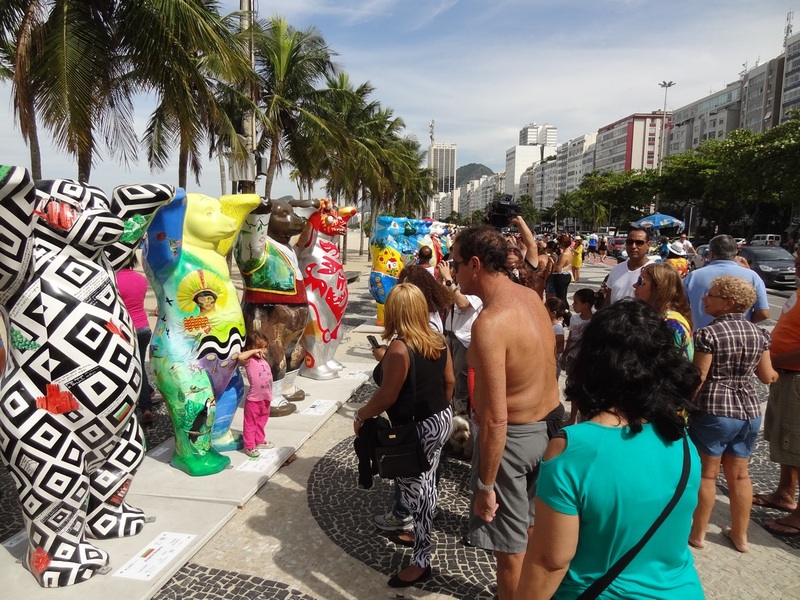 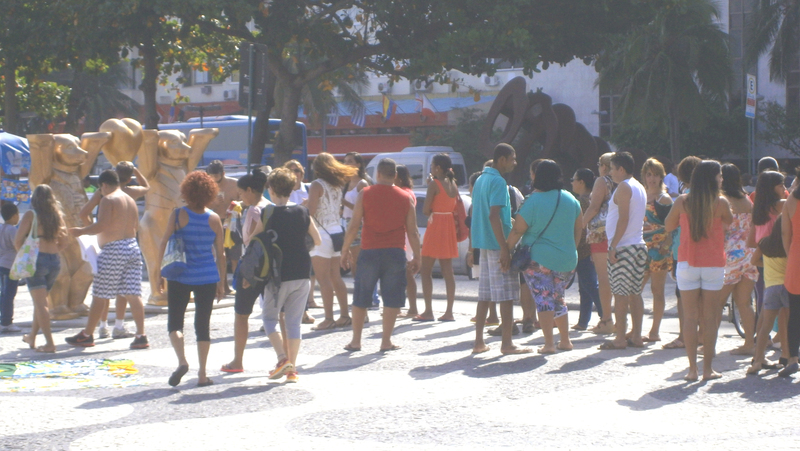 Visitors of the famous promenade could admire their diverse artistic designs from 1st May until 20th July. 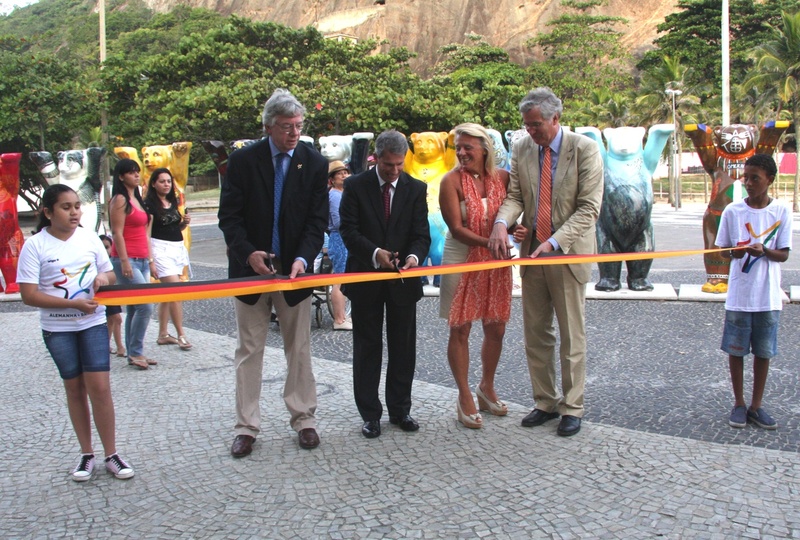 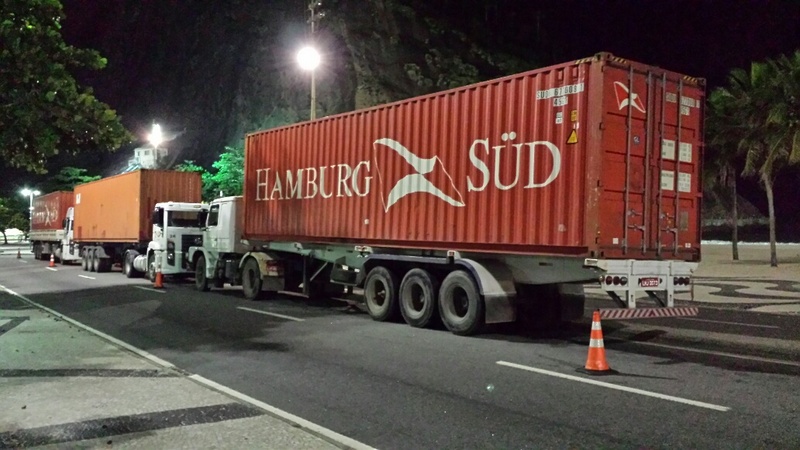 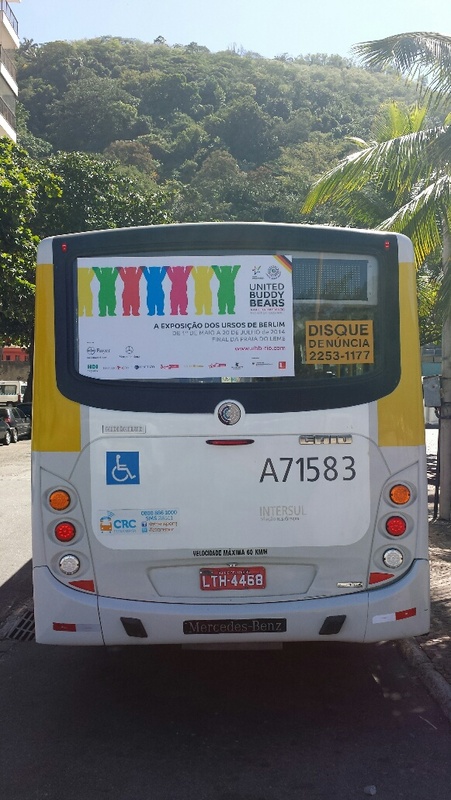 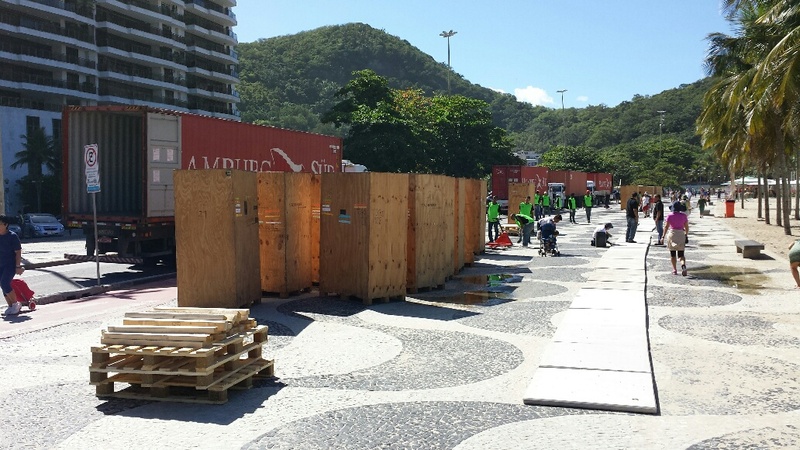 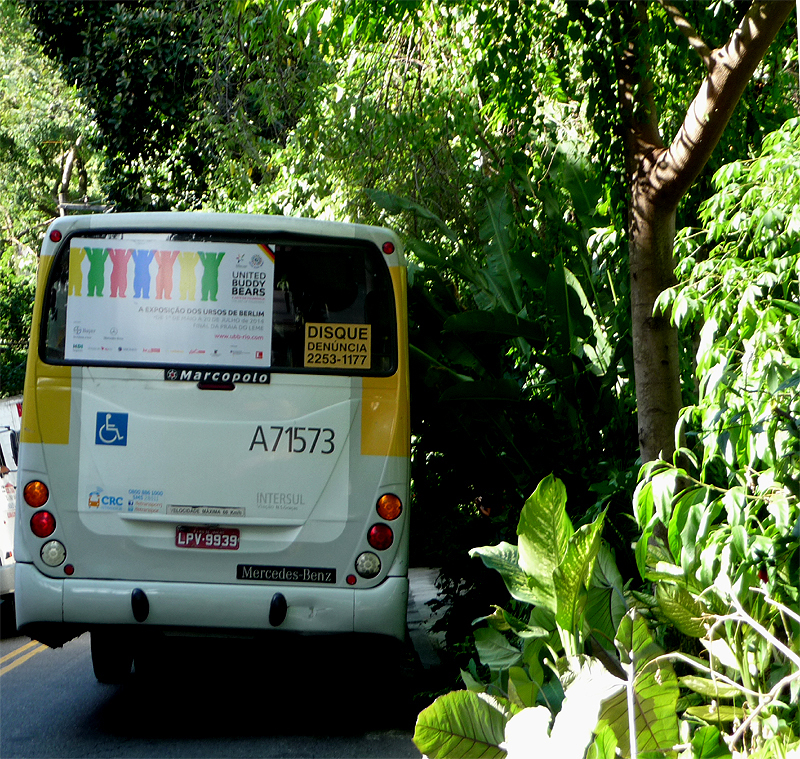 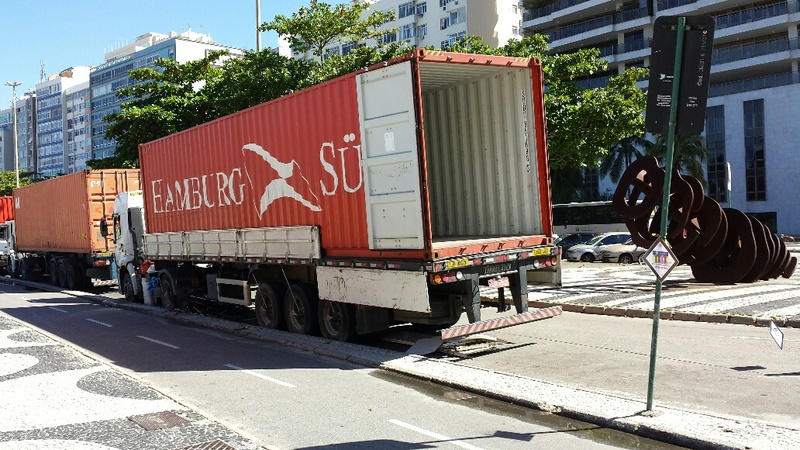 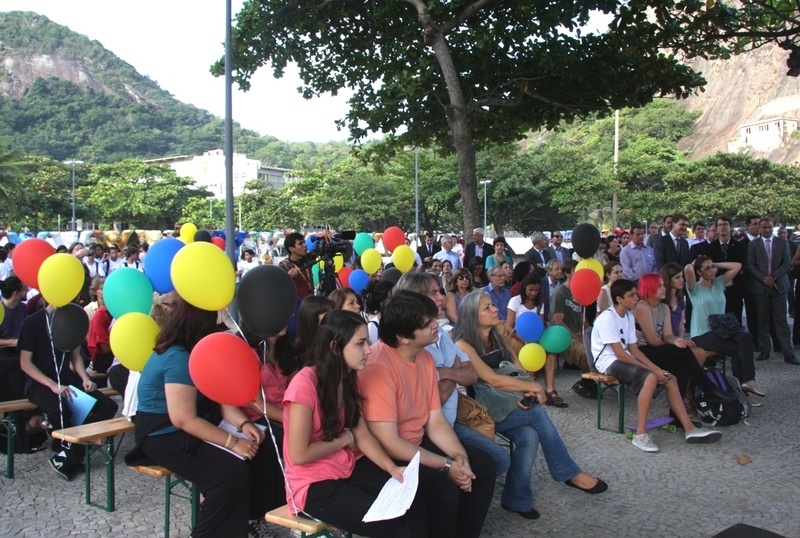 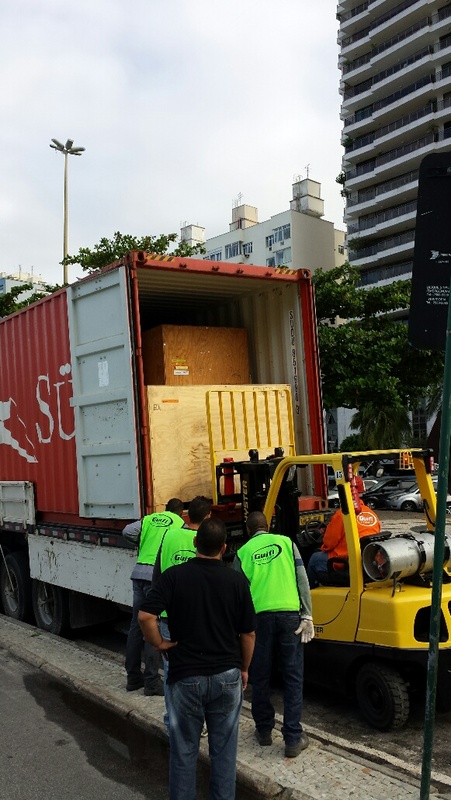 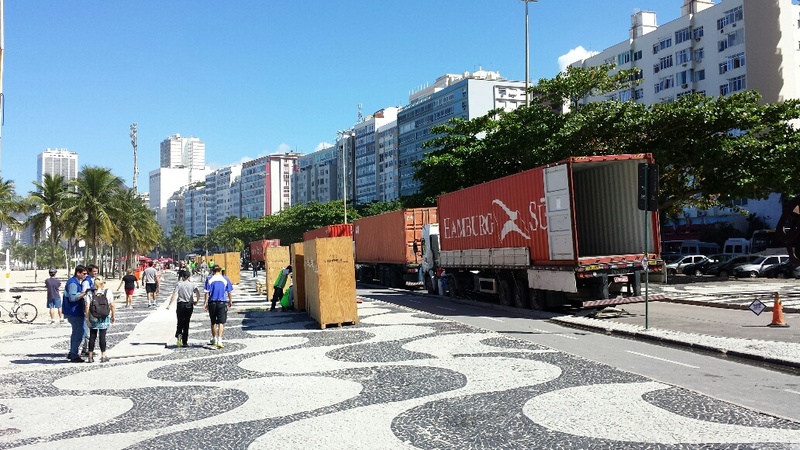 The German Consulate General in Rio de Janeiro organised the exhibition, supported by the city council of Rio de Janeiro. 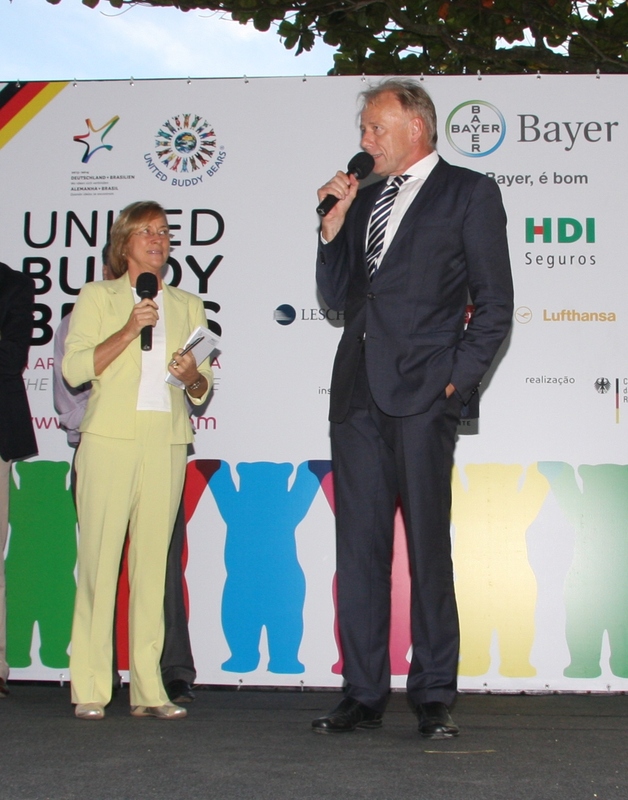 Mercedes-Benz, Bayer, the insurance company HDI and the shipping company Hamburg Süd were main sponsors of the exhibition. 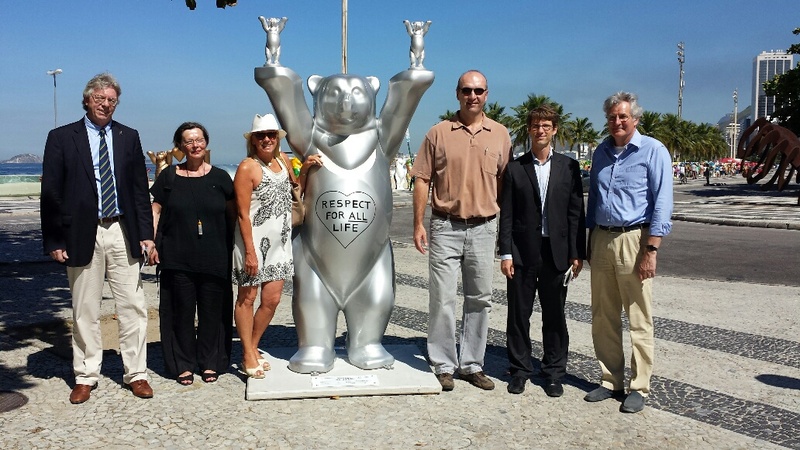 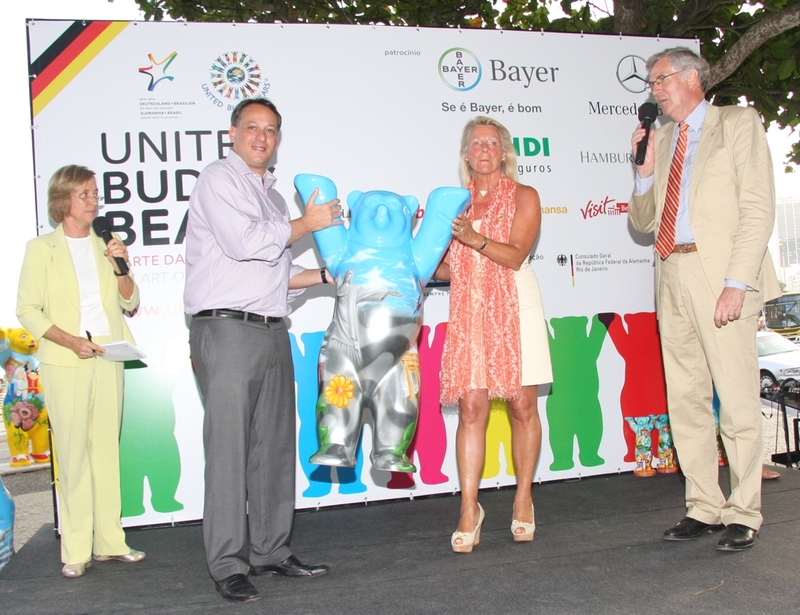 visitBerlin, Lufthansa and the logistics company Leschaco also supported the Buddy Bear’s trip to Rio. 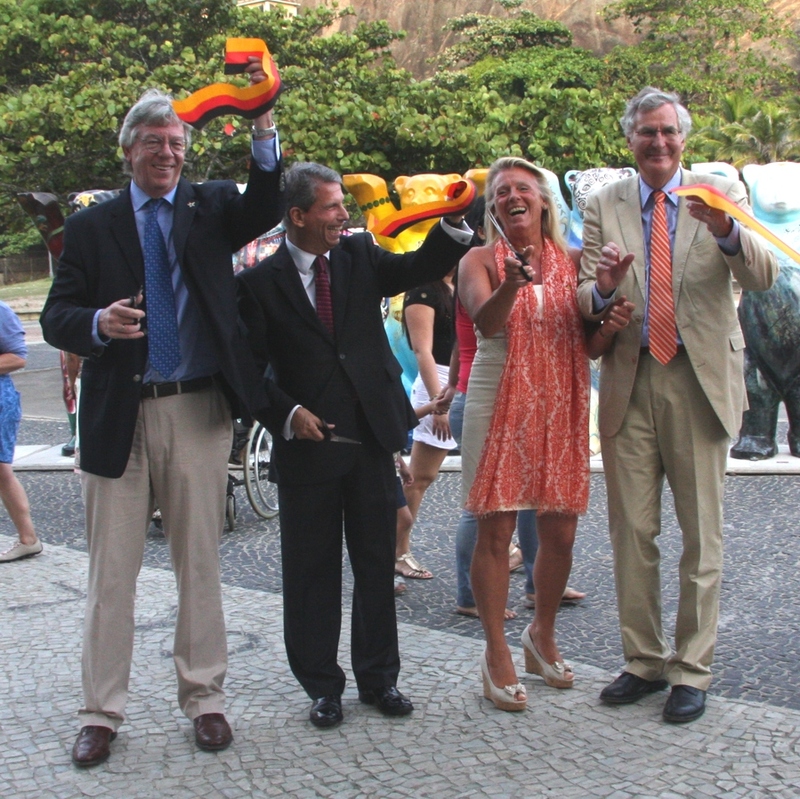 The official exhibition opening was scheduled for 6th May, 2014. 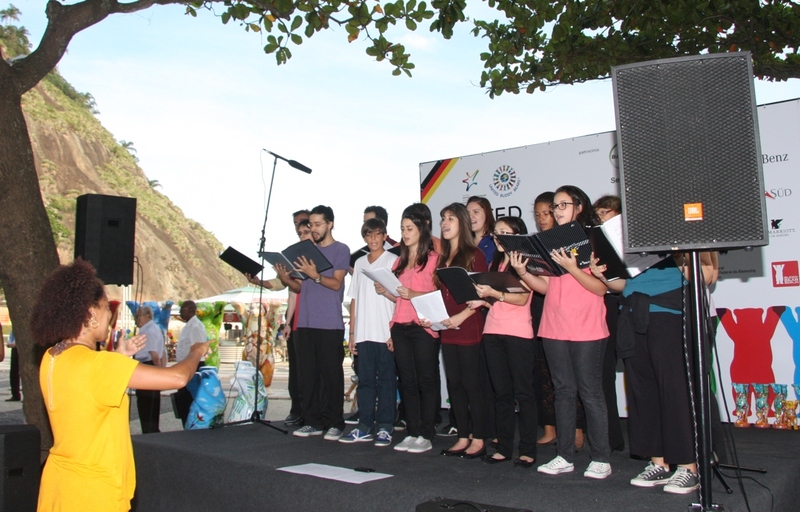 Here you can find the greetings from the German Foreign Minister, Dr. Frank-Walter Steinmeier. 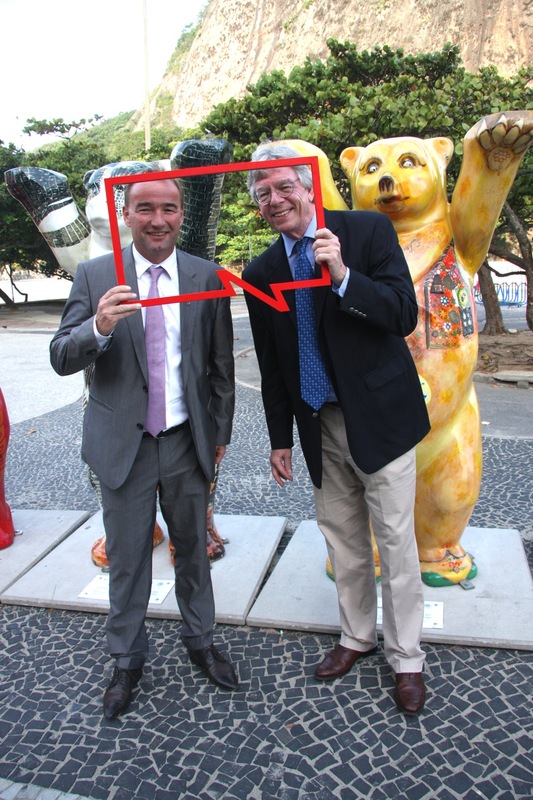 And greetings from the Department of State of Brazil. 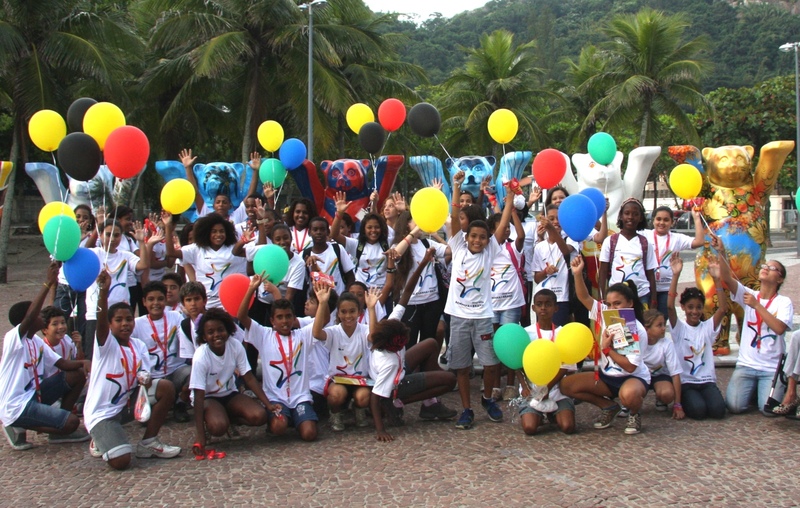 Start photo gallery (13 pictures). 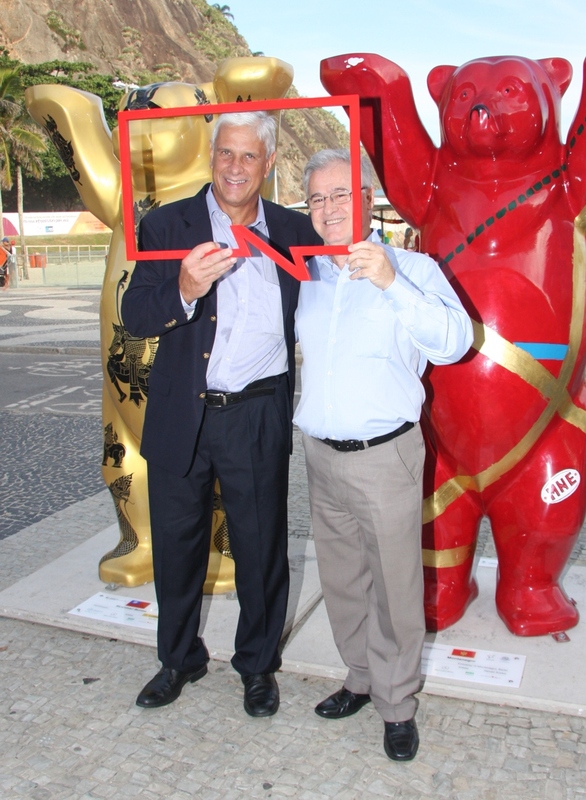 Click on a picture. 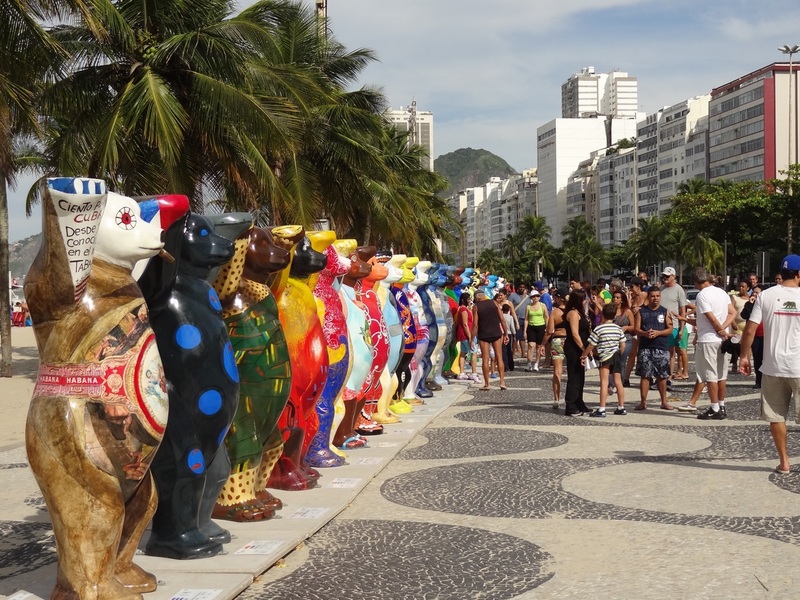 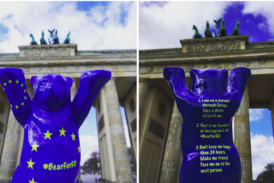 To greet Rio de Janeiro in an adequate manner, the Brazilian artist Sônia Corrêa designed a new Brazil bear for the exhibition. 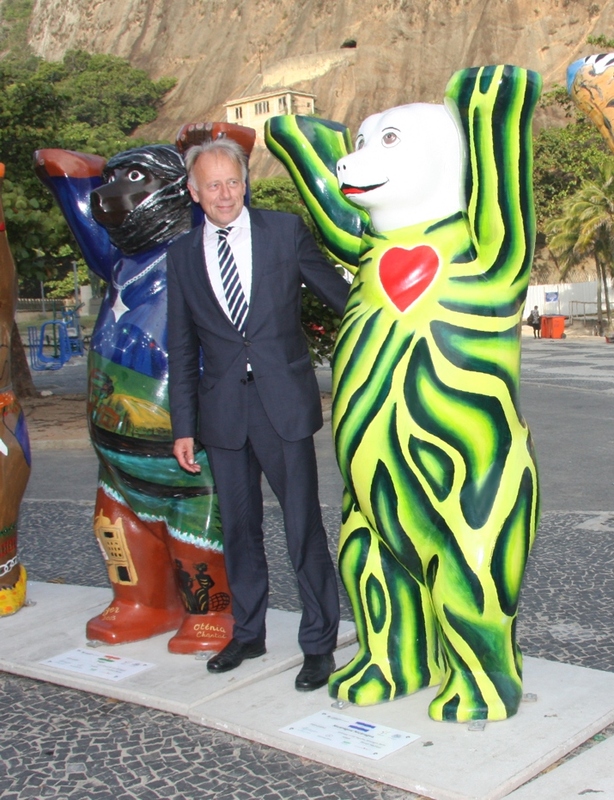 This bear symbolises Brazil’s many facets. 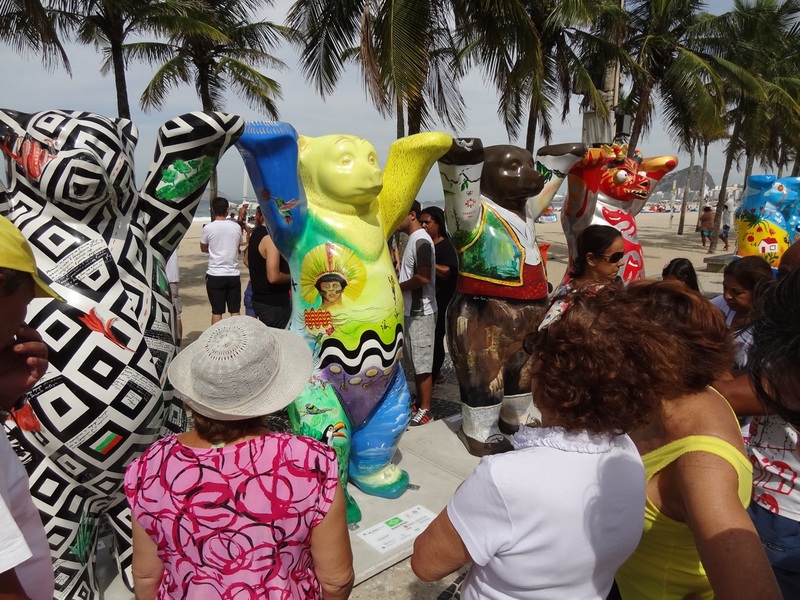 With its vitality, creativity and cultural diversity, Brazil is an immensely inspiring partner that has much more to offer than the stereotypes of samba, beach and sun. 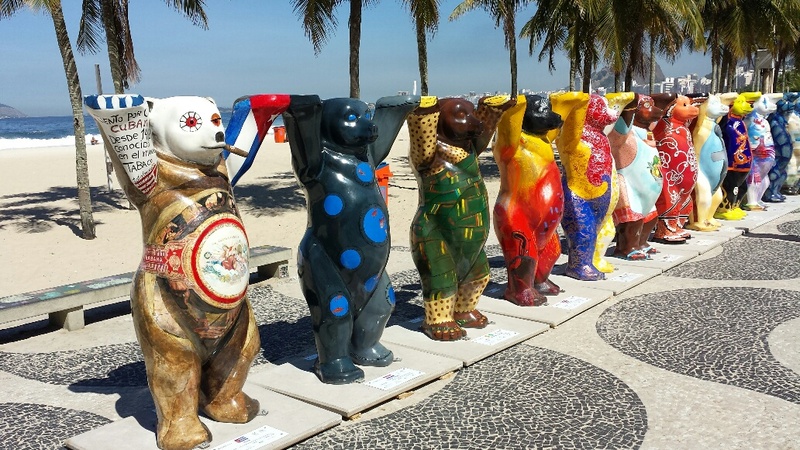 Here you can find ALL BEARS, which are on Rio-Tour.